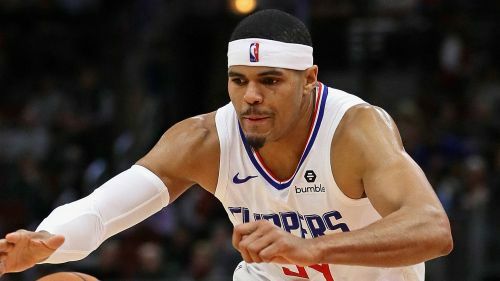 The Philadelphia 76ers have agreed a blockbuster trade for Los Angeles Clippers star Tobias Harris ahead of Thursday's deadline, according to reports. According to ESPN, the Clippers will receive Landry Shamet, Wilson Chandler, Mike Muscala, the Sixers' 2020 first-round pick, the Miami Heat's 2021 first-round pick, and Philly's 2021 and 2023 second-round picks. In return, the Sixers will acquire Harris as well as Boban Marjanovic and Mike Scott. The bold move would leave the Sixers with one of the strongest line-ups in a wide-open Eastern Conference, with Harris joining Ben Simmons, J.J. Redick, Jimmy Butler and Joel Embiid in Philly. Speaking before Tuesday's 119-107 loss to the Toronto Raptors, head coach Brett Brown said general manager Elton Brand was working on deals but there were no guarantees of movement. "Right now there are things going on as far as communications go with a lot of teams," he said. "Anything that shakes out, I don't know. I would not be telling the truth if you say something is incredibly imminent. "Unless I don't know something. And by and large Elton does his job and when things come up that I do need to know, he advises me. "As it sits, there is no conversation that we've had about anything imminent."